Government municipalities and property owners are required by law to keep their premises safe for passers-by and visitors. This includes keeping sidewalks in residential neighborhoods free of hazards. If the government or private property owners do not meet safety standards and there are injuries, they can be held liable. Roughly 60% of slip or trip and fall accidents involve uneven pavement. Slip or trip and-fall accidents do cause serious injury. Juan Huerta Law helps people with premises liability cases from slip or trip and fall accidents, including but not limited to sloping driveways, tree roots, uneven stairs or stair rails in disrepair, impeded store aisles, slippery or uneven sidewalks, potholes, slick floors, construction site hazards and poor lighting. Juan Huerta Law will seek fair compensation for all losses and damages, including medical care, lost wages, rehabilitation and earning potential. 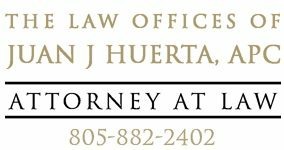 Juan Huerta Law has the knowledge and experience to represent you and your family. We provide sincere, compassionate support to the family while we aggressively pursue accountability and full compensation from those responsible. Throughout our personal injury practice, we represent clients in Santa Barbara, Santa Maria, San Luis Obispo, Ventura and all communities in between. Be aware that anyone injured on public sidewalks has just six months to file a claim before the statute of limitations expires. If you need legal assistance, don’t wait. Please use the form on this page or contact us by phone today.